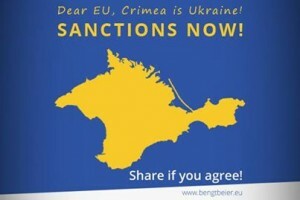 EUROPEAN FEDERALIST PARTY » PRESS RELEASE – Crimea: real sanctions now! PRESS RELEASE – Crimea: real sanctions now! The EU must decide on REAL economic sanctions now! We MUST NOT ACCEPT any state breaking international law and invading other countries in the heart of Europe! For more, read the full statement here.